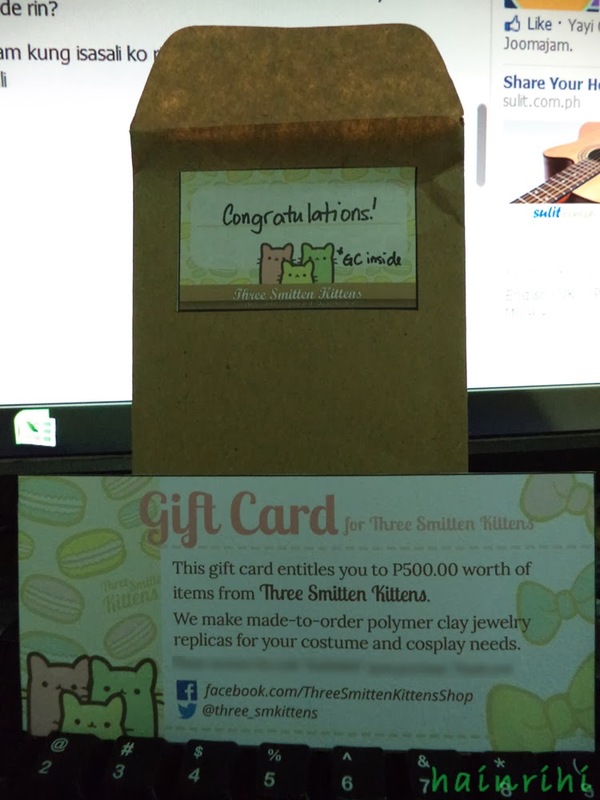 As per my previous post, I did a review on one of my favorite Cosplay shops in the net, Three Smitten Kittens (3SK). And now, I caught up with the owner and asked a few questions from Ms. Jakilyn Chipeco. And since it’s the merry month of December, I’ll be holding a giveaway for my dear readers and the prize will be from Three Smitten Kittens. Find out more as you read on. 1. 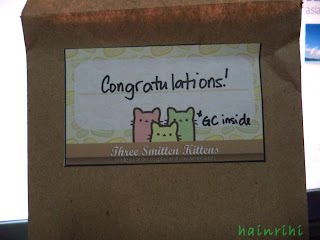 When did you start Three Smitten Kittens? What made you go into this business? I started offering my services October last year, and officially operated under the name "Three Smitten Kittens" January this year. I've decided to go into business because my work contract for my actual job (as a cashier in an cafe in Trinoma) was finishing up and I barely saved anything with my minimum-wage job, so I decided to get into side-business. 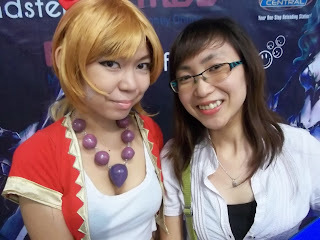 I found the CNPH cosplay market and posted sample works there and got inquiries and clients in a few days. It's my full-time work now and I consider it a great blessing. 2. What are your exact products and services? 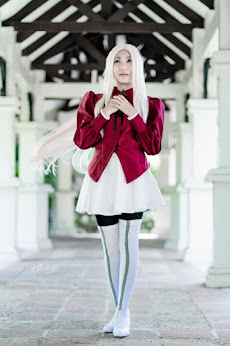 We specialize in made-to-order clay replicas of cosplay accessories. 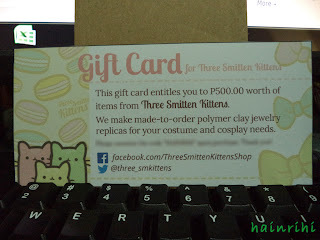 While we make other items made with clay--cute food items, chibis, charms, souvenir items, etc. our specialty really is on wearable cosplay accessories. 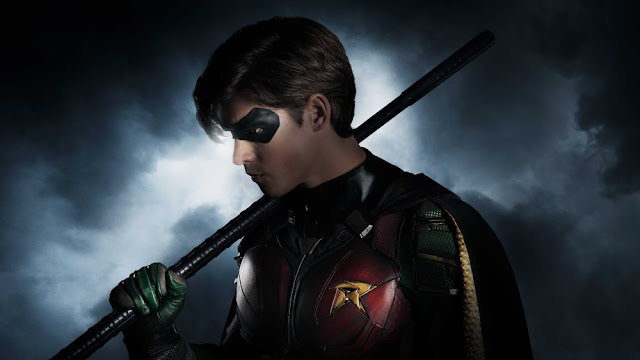 If you send us a reference photo of any accessory or jewelry the character you want is wearing, we can probably make it. My brother who is my assistant also offers graphic art services, and has received commissions through 3SK to make hi-res graphics of particular anime/game logos that people can proceed to put onto their shirts, costumes, use as reference for their embroidered patches, etc. 3. If you don't mind me asking, how do you do your projects? Do you just do clays or use other materials too? I use primarily clay and specialize on it, but I use many other materials to complement it. Craft foam and plastic folders are my favorite items. I make small, minor items like hairbows with fabric. I also just recently stocked on craft resin so I shall use that too when it's appropriate. Sometimes I even use ordinary items like carton boxes and corrugated board. My workspace really has a ton of craft materials stockpiled that I just use when the appropriate time comes for them to be used. 4. You've been running Three Smitten Kittens for just one year but I've noticed you've had so many projects and clients already. How is everything in the business and what makes it successful? Business has its ups and downs, but I'm really blessed and thankful it's has been pretty successful so far. It's truly God and the clients that have made it a great success. I'm thankful for them so we strive to do our best in our work. Other things that I think make the business successful in its own way is thorough planning from the start before you dive in. I've thought about this business and researched it well since the early days and I believed in it and had faith it could work out, and I think that's essential too to why it had success. Great market research and planning of where you want a business to go right from the beginning is essential! 5. 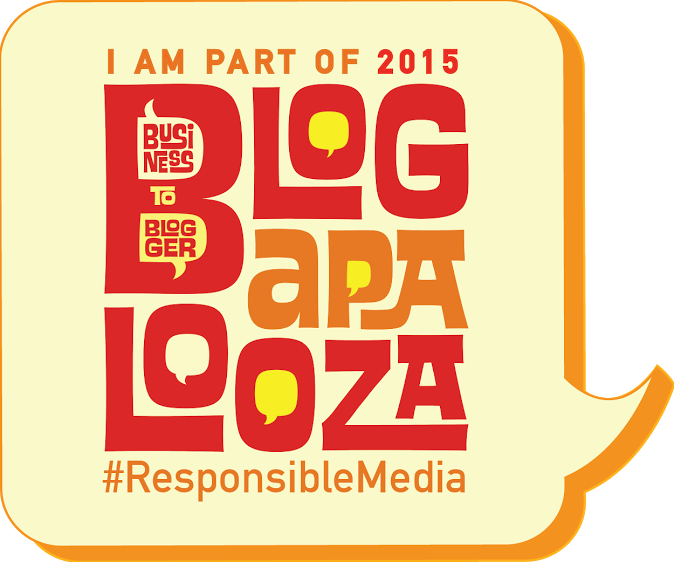 What/Who are your inspirations in this business? My family! Only my older sister and I earn an income in the family so I do my best to work hard for them. They've helped me run the shop in little ways so I want to make it all work out, for them. I also have this special friend who'd helped me start up and set up shop before anyone did. He'd given me the push to go for it. I consider working hard and making this successful as my way of thanking him. Also my mum runs an organization in a local high-school which supports kids by teaching the love of God and having programs that supports their hobbies, so they stay away from bad influences. We give proceeds of our earnings to fund their projects. I also have a dream to help the locals by expanding the shop and helping others have income as well by hiring them. Seeing how many people you can or could help out with a successful business is very inspiring~! 6. What are the best and worst experiences you had experienced running Three Smitten Kittens? Worst is right now! My Paypal account is still frozen due to "unusual activity". It's a big blow to us not being able to take international orders. But I have faith it'll be sorted out soon, and the shop still does well with local orders. It's in times like these where dedication is tested, and if you hang on and do your best everything will work out for the good. The best would be when I gained my family's support for the business. When I started out my mum would always tell me to find an actual job and get employed again. I understand that for many people, employment is a very stable thing and self-employment is risky. But over time I got their support, and it really made me happy. 7. What do you think makes Three Smitten Kittens unique than other shops? We strongly believe in generosity and giving back to the community and sharing what we know. I don't think enough self-owned, self-operated businesses do that now. 8. Want to plug your shop? Just list them down. 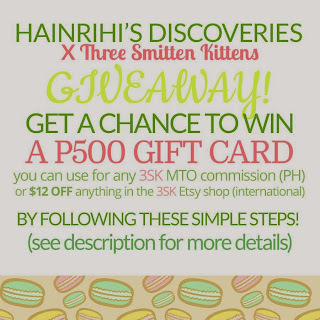 And because it’s the merry month of December, Hainrihi’s Discoveries together with Three Smitten Kittens, will be having a giveaway to my readers who want to have their own customized/personalized accessories made (whether cosplay-related or not). We will be giving away a P500 gift voucher that will be shipped to the winner and can be used to purchase your made-to-order accessories in Three Smitten Kittens. 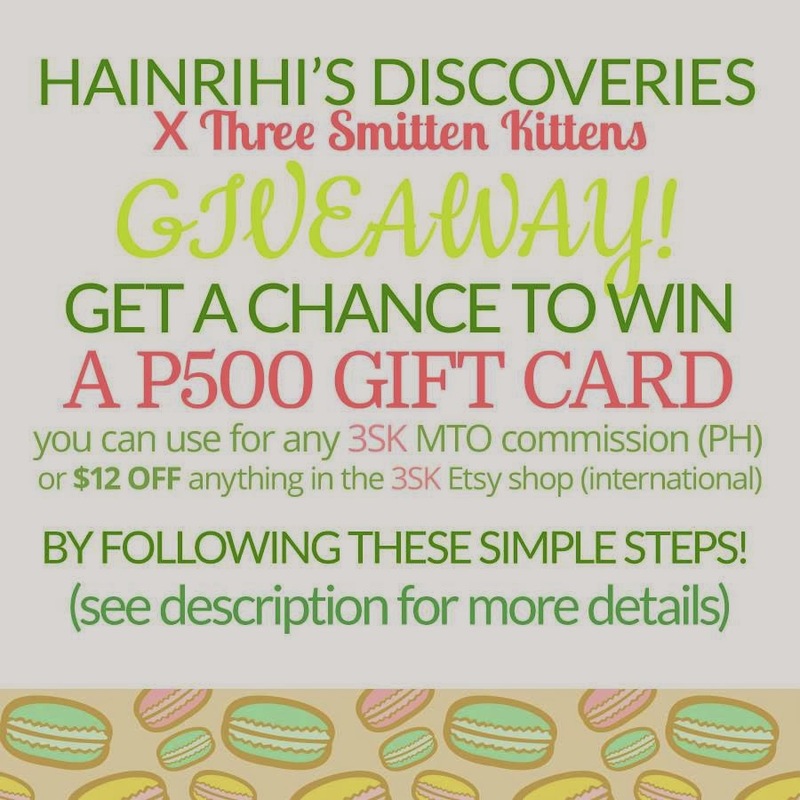 The giveaway will run until January 2, 2014. Winner will be announced on January 3, 2014 and will contact the winner via Facebook PM or email. 24/7 nightlife in Tel Aviv: best bars and clubs I truthfully recommend!